I remember when there was no “undo button,” there was no Windows Operating System and “word processing” meant a person was thinking about what to write. Then came the PC with DOS to run it and a blinking cursor on a green or black screen to indicate the operator was word processing. 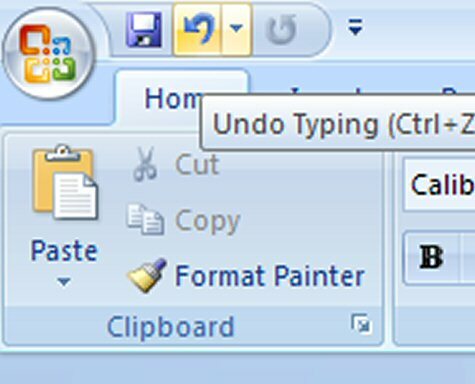 When we upgraded to Windows and Word, we thought the magic undo button was the greatest thing since sliced bread. Did you type a word in the wrong place? Undo with a single click of a button. Did you accidentally delete the paragraph? Undo. Ruin a photograph? Undo. How convenient! 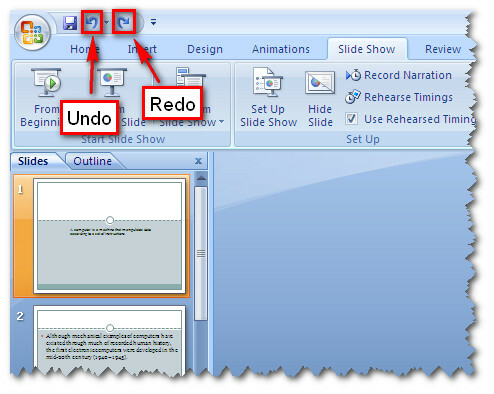 I’ve often thought, when I’ve misspoken or sent careless words in an email, that I wish life had a handy undo button. The other day I realized maybe some of it does and maybe it’s not all we wished for. I might spend a few days mopping tile, vacuuming carpet, polishing furniture, cleaning glass shelves, laundering towels, sanitizing sinks and baking cookies for company. It can all be undone in a couple of hours. A child with a glass of lemonade can undo a lot in a split second. My husband can sweat for a week on a rooftop to make enough money installing refrigeration equipment so I can write a check for his liability insurance. Undo only takes a minute. My niece underwent a surgery to repair her broken ankle, enduring the pain and trauma for weeks, the inconvenience of a knee walker, the daily maintenance of her wounds. Then she fell and undid it in a flash. Oh, if only there was a “redo button”! There may be a negative aspect to the conveniences of word processors–we rely on them too much. We type hastily and without enough thought, knowing we can undo our mistakes. The result often is less than our best. Spell checkers have ruined me more than once. One memorable incident involved an article I wrote for the newspaper, a poetic rambling about dust motes floating up and down a ray of sunshine. The young woman assigned to prepare it for print substituted the word “mite” for “mote,” changing the entire tenor of the work. Perhaps there is a good reason life is designed to give us no “do-over’s,” no quick undo’s or redo’s. We learn from having to do tasks slowly and methodically, over and over. We appreciate what someone else does for us when we’ve painstakingly done for others. We don’t take relationships for granted. We take good health seriously. We spend our money carefully. Maybe that’s why older people typically express gratitude, pinch pennies, walk carefully and deliberately and obsess over healthy foods. They’ve learned from all their undo’s, without buttons. This entry was posted in Short Takes on Life and tagged boring housework, carelessness, gratitude, if life had an undo button, Microsoft undo, spell checkers, tedious tasks. Bookmark the permalink. Great article, undo buttons would surely cut back on regrets, I’ve had a few, but then again, too few to mention. An undo button would be great, but sometimes I really, really want a “restore” function — set my life back to a time before it went awry. But good article, as usual. Thanks.